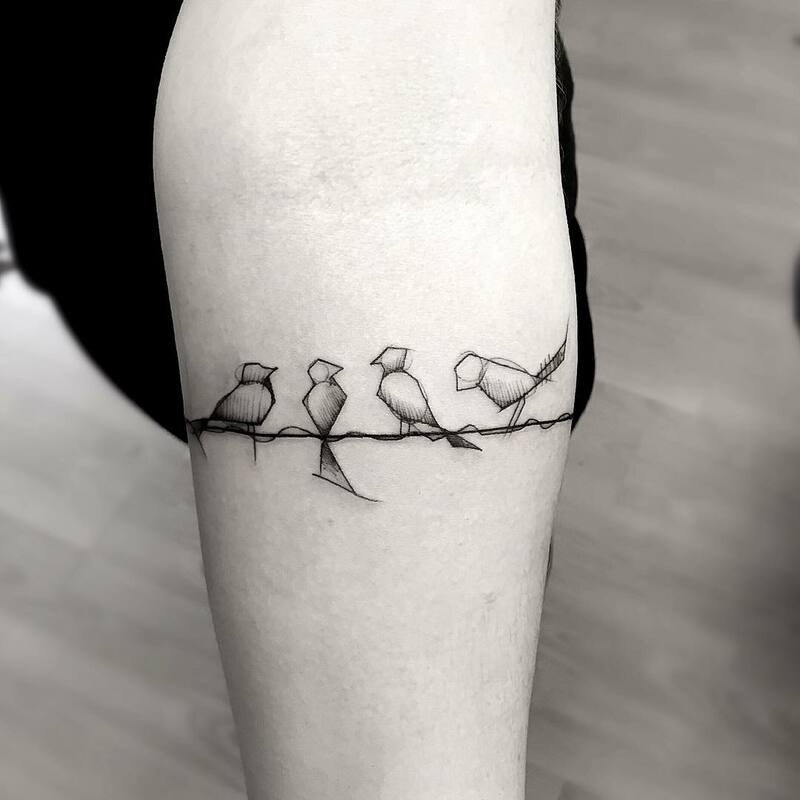 Tattooist Frank Carrilho creates stunning tattoos that fuse delicate, wispy details with dramatic, bold outlines. 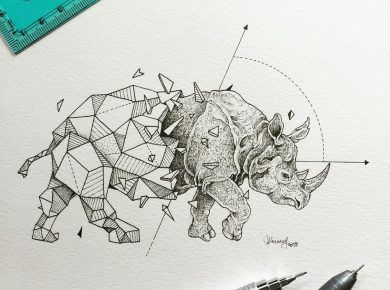 Featuring swirling geometric shapes, notable characters, and animal hybrids, Carrilho forms memorable, stand-alone art with his tattoo gun. 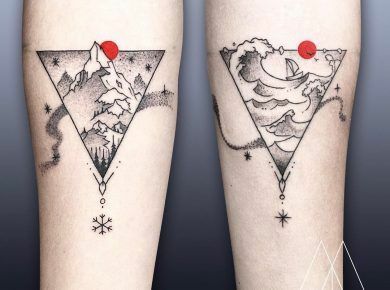 With a sense of controlled chaos, Carrilho’s art effortlessly balances elements of the abstract with the actual, without the need for any infusion of color. 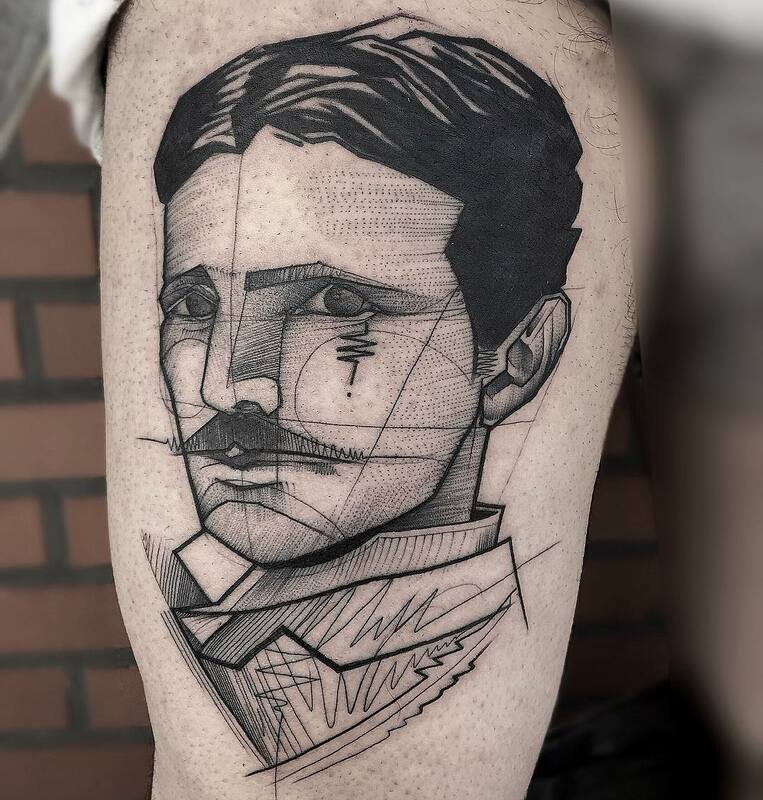 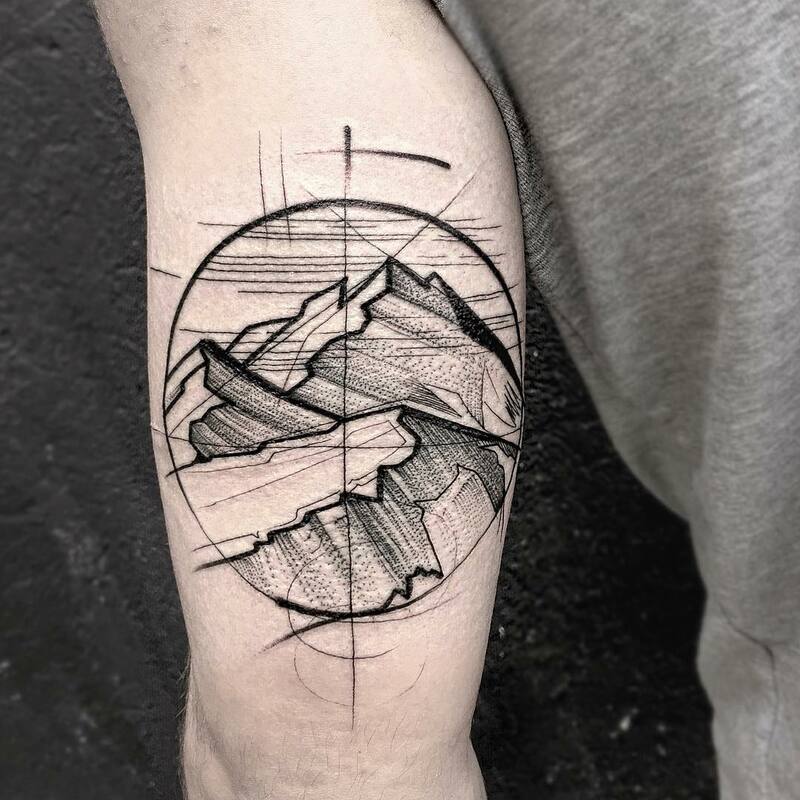 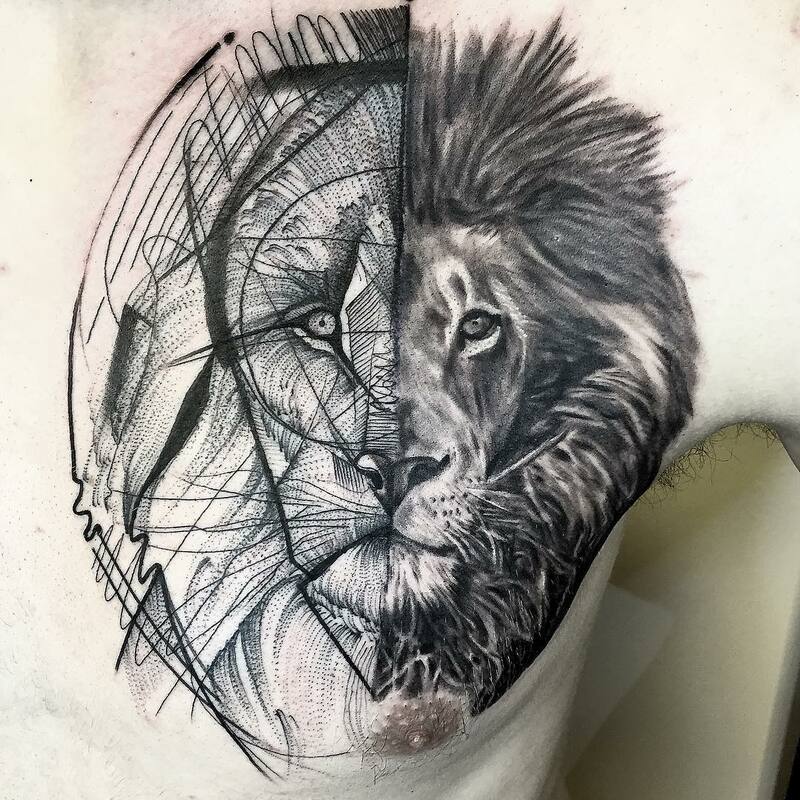 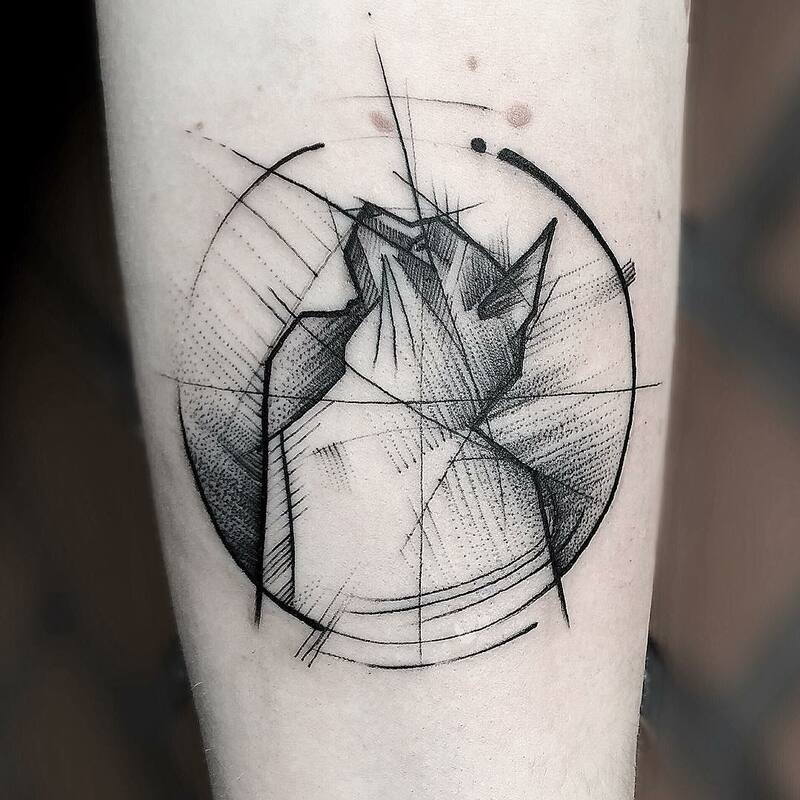 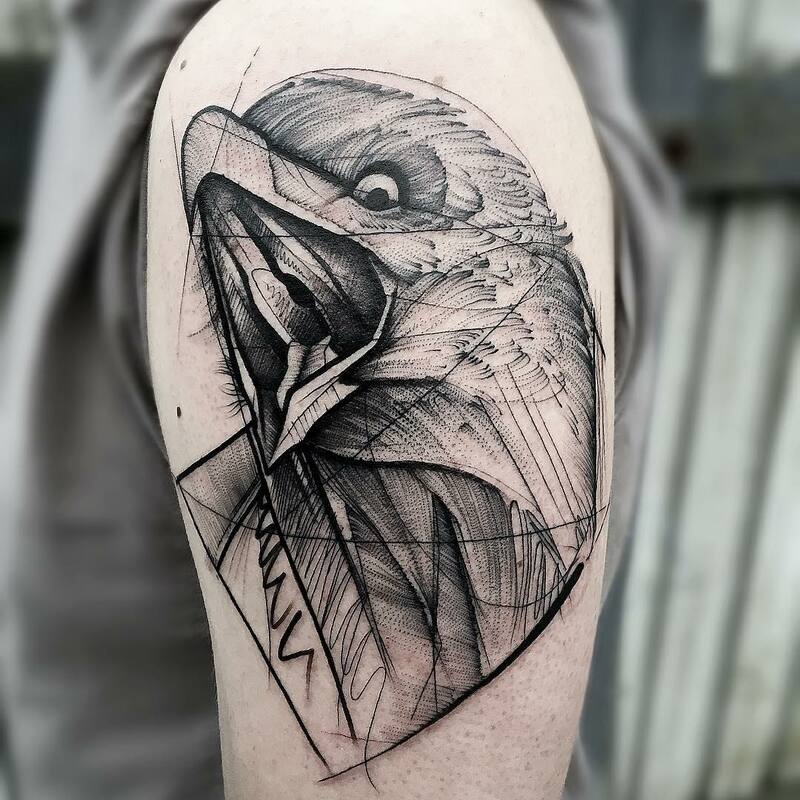 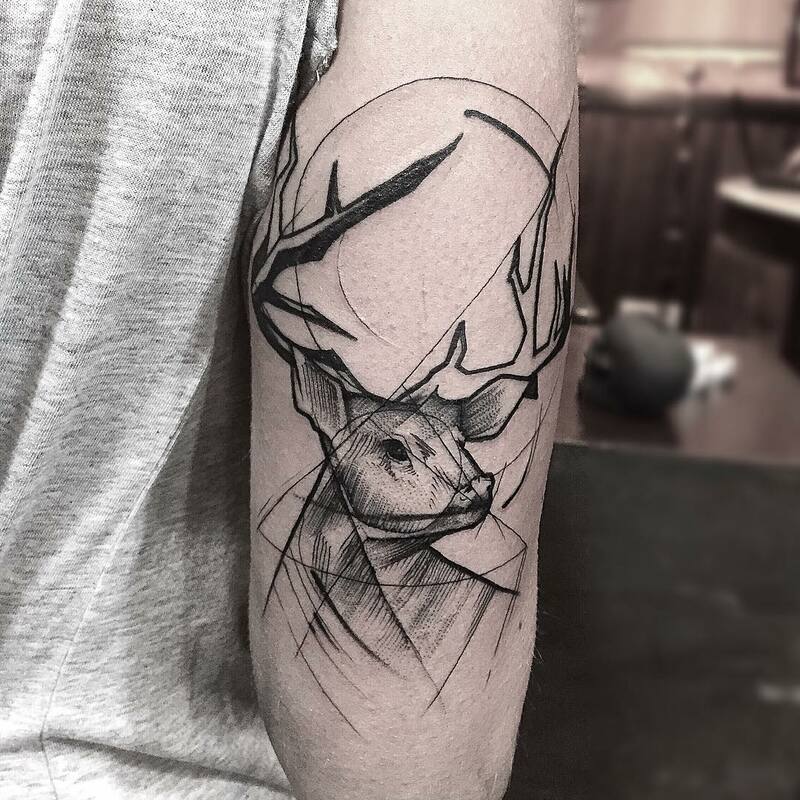 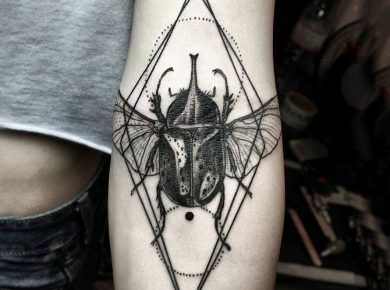 The Brazilian artist is currently based at the Queen Of Hearts Tattoos – Lx Factory in Lisbon, Portugal where he produces his stunning sketches. 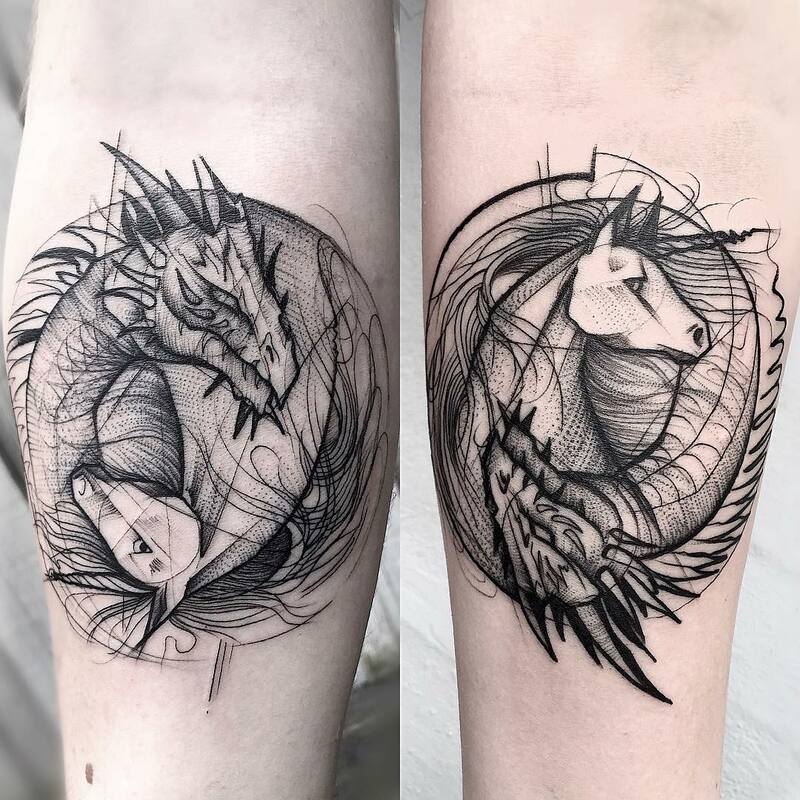 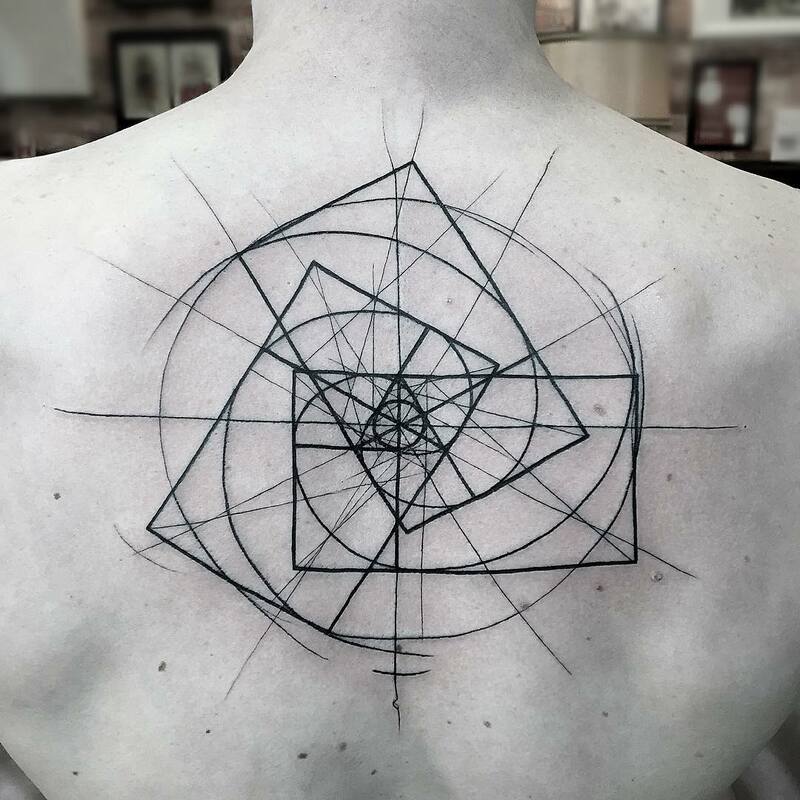 Simultaneously intense and graceful, chaotic and controlled, Carrilho is a tattoo artist with an inspiring vision to keep an eye on.